From bridal showers and engagement celebrations to bachelorette parties and your wedding day, Florida Charter Bus Company is your number one resource for safe, reliable, and up-to-date buses. We have access to a wide variety of buses, from 18-passenger minibuses to full-sized coaches that hold up to 56 passengers. Booking is easy--we’re available 24/7 for your convenience at 305-359-5975. Call us today to start planning group travel for your wedding! Enjoy a completely personalized shuttle service on the day of your wedding. We’ll transport you and your wedding party between your hotel, ceremony venue, and reception venue with ease. Your party will stay together, arrive on time, and can focus on your big day without worrying about parking or getting lost. Keep your wedding guests organized and on-time with your very own on-demand shuttle service. Start the party with a shuttle that will transport guests between the ceremony and reception. We offer a wide range of buses to choose from, so no matter how big or small your crowd is, everyone will have safe, reliable, and comfortable transportation the whole time. 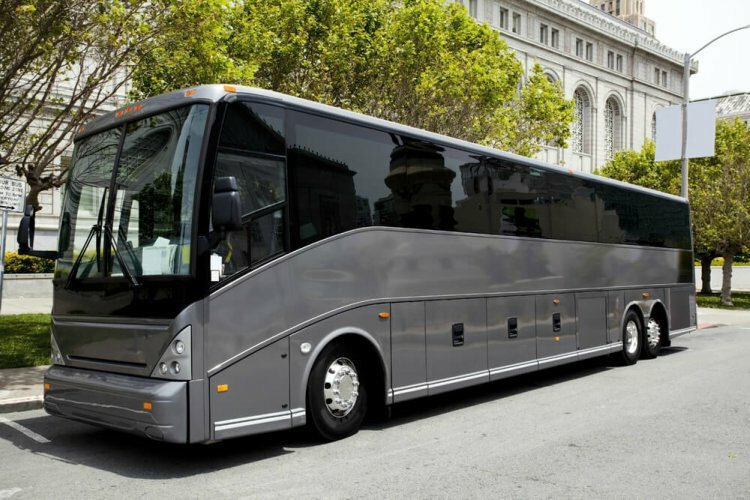 Cars and limousines often lack the space, legroom, and premium amenities that buses offer. Don’t leave guests feeling restricted with their formal wear, which can be harder to move in and easy to wrinkle. Your guests will arrive in style and comfort with plenty of legroom and amenities such as plush reclining seats, air conditioning, WiFi, and so much more. Want a specific amenity? Let us know and we’ll find your perfect bus! With a dedicated bus, guests won’t have to worry about depending on unpredictable public transportation, rideshare apps, or carpooling. If parking is scarce or far from your venue, avoid separating large groups with a personal shuttle service. Your group will arrive at your event together, on time, and comfortable without a single worry of parking. Once the event is coming to an end, don’t stress over how your guests will arrive back home safely. With a personal bus, your guests can enjoy alcoholic beverages with the knowledge of a guaranteed ride back to their hotel. Your bus allows everyone to indulge in the celebration and still travel safely. With Florida Charter Bus Company, your group transportation for engagement parties, bridal showers, bachelor/bachelorette parties, and more is covered. We’ll help secure the most reliable, safe, and comfortable transportation for any festivity, no matter how big or small. Our dedicated reservation specialists are available 24/7 at 305-359-5975 to help plan all your transportation needs. We’re excited to hear about your big day!